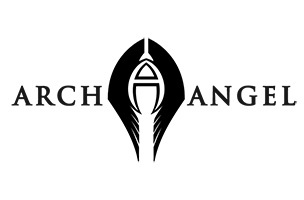 Unity Games and Black Tower Studios are set to bring fantasy-themed action game Archangel to iOS and Android devices later this month. The game promises ‘console-quality visuals,’ as players take control of the Archangel, an Angel of Justice tasked with defeating evil forces and ensuring they never again rise up. The action RPG offers a 3D isometric world for exploration across 30 levels of combat. Players can attack with traditional weapons or with the game’s hefty magic system, which will allow gamers to draw symbols on the screen relating to specific spells. Depending on the gesture, players may call down a lightning storm, unleash energy beams, freeze their enemies, or even teleport the Archangel across the screen. As players complete levels, they’ll be able to upgrade the Archangel’s armor and weapons to increase his stats. The game includes an adaptive difficulty system, which will alter the difficulty level in relation to a player’s ability and experience. In this way, Unity Games and Black Tower Studios hope to offer the same amount of fun to both novices and experienced mobile gamers. Archangel is scheduled for release on iOS and Android on January 9 for $4.99. Check back soon to follow the game on AppData, our tracking service for mobile and social apps and developers.